Aliexpress Is an International E-commerce website, offering $2.00 GIft card for $.01 only you can buy this gift voucher from the website and can be used on the purchase of $2.01 and above . 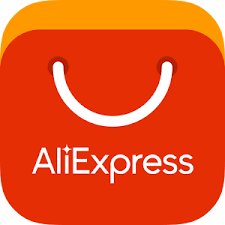 those, who are looking for international shopping can go through ali express this is an amazing website, delivers all over World . ii) a registered member of AliExpress.com but have never made a purchase before; and during the promotional period, add a new payment card (credit or debit) to your account. 2. Each qualified New Member is allowed to purchase a maximum of one (1) US $2 AliExpress Coupon. 3. The total amount of the US $2 AliExpress Coupons is limited and they are sold on a first-come, first-served basis. 4. This offer is not available on the AliExpress™ app. 5. Upon completion of this order, US$0.01 will be refunded to the payment card account. While the US $2 AliExpress Coupon will be immediately deposited into your AliExpress account. 6. You can only apply this coupon when you’re shopping on AliExpress.com on your computer or on the AliExpress™ app within the Promotion Period, which begins September 19, 2016 at 00:00:00 PDT and ends September 30, 2016 at 23:59:59PDT. 7. This US $2 AliExpress™ Coupon can be applied to combined orders. 8. This US $2 AliExpress™ Coupon can be used along with Instant Discounts and Store Coupons. 9. An AliExpress™ Coupon is considered ‘Used’ once it’s selected in an order and that order is successfully placed. 10. Coupons that remain unused after the Validity Period will lapse and cannot be refunded or exchange for anything. Use of any coupon is subject to the AliExpress™ Coupons Terms and Conditions, which can be found athttp://help.aliexpress.com/coupons_terms_condit…. If any terms and conditions set forth in the AliExpress™ Coupons Terms and Conditions conflict with any terms of these Official Rules, the terms of these Official Rules shall prevail.